Your feet are incredibly hard working and support your whole body, so it’s no wonder that they can sometimes feel sorry for themselves. But if improving your foot health sounds daunting, don’t worry. It doesn’t have to be complicated. In fact, there are several practical steps you can take today to give your feet an immediate boost. When choosing footwear, it can be tempting to prioritise fashion over foot health. However, forcing your feet into uncomfortable, unforgiving shoes is a shortcut to foot problems, including injury and deformity. Wearing high heels puts the fronts of your feet under excessive strain, while thin-soled flat shoes offer little protection. Make today the day you ditch unsupportive footwear for good. Shoes with breathable leather uppers, cushioned soles and heels less than two inches high will give your feet the respect they deserve. What’s more, wearing sensible shoes doesn’t necessarily mean compromising on style – just look for chic details such as bows and gems. Can improving your foot health really be as simple as going for a walk? Yes, it can! ‘Walking is the best overall foot exercise,’ emphasises Harvard Health Publishing. It’s easy, enjoyable and focuses on your gait cycle (i.e. the all-important movements your lower limbs make from the point your foot strikes the floor to the point it touches the floor again). Look for opportunities to go for a walk today – you could pop out during your lunch break or enjoy a pleasant evening stroll. By walking more, you’ll boost your feet’s strength, flexibility and circulation. You could also try simple foot exercises to ward off stiffness and fatigue. There are more sweat glands per inch on your feet than any other part of your body, and they’re working constantly to keep your skin cool. The problem is that when the sweat builds up and soaks into your socks or tights, your feet become the ideal breeding ground for odour-causing bacteria. That’s why hosiery can end up smelling ‘cheesy’; and the nasty odour will persist for as long as sweat and bacteria are allowed to linger. So, what can you do today to make your socks and tights cleaner and fresher? Simply add an anti-bacterial laundry cleanser (Dettol’s range is widely available) to your next load of washing. You’ll be helping to ensure that your hosiery provides a hygienic environment for your feet. Its lack of natural oils makes the skin on your feet prone to dryness, and wintry weather makes the problem worse. Dry skin is not only an unsightly and uncomfortable condition but also a threat to your foot health. If the skin splits (as is the case with cracked heels), it may bleed, restrict your mobility and lead to infection. Make time today to massage foot cream into skin that’s crying out for some TLC. Creams containing urea or salicylic acid can be useful when you want to tackle calluses, while shea butter helps feet to retain moisture. You should apply your chosen cream to every part of your feet with one exception. Never moisturise between your toes, as dampness there is associated with fungal infections. Whether you’re worried about a particular foot complaint or just want the peace of mind that a general foot health check brings, visit a podiatrist today (or book an appointment for the near future) and you can significantly boost your foot health. Expert foot care and treatment helps you to nip problems in the bud and keep your feet in tip-top condition. Our London podiatrists are available six days a week, and our clinics offer extended opening hours. 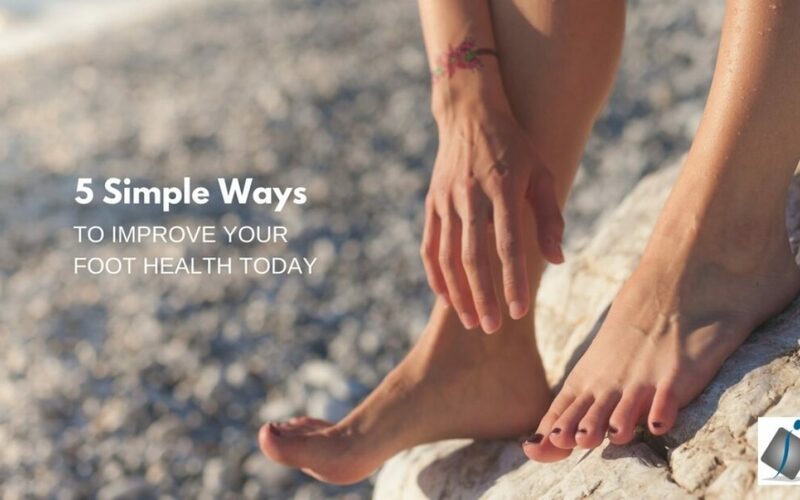 We aim to make it as easy as possible for you to take advantage of our podiatry services, because healthy feet are vital when you want to get the most out of life. For expert podiatry services that are designed to improve your foot health, please call Feet By Pody today on 0207 099 6657 or book an appointment online.